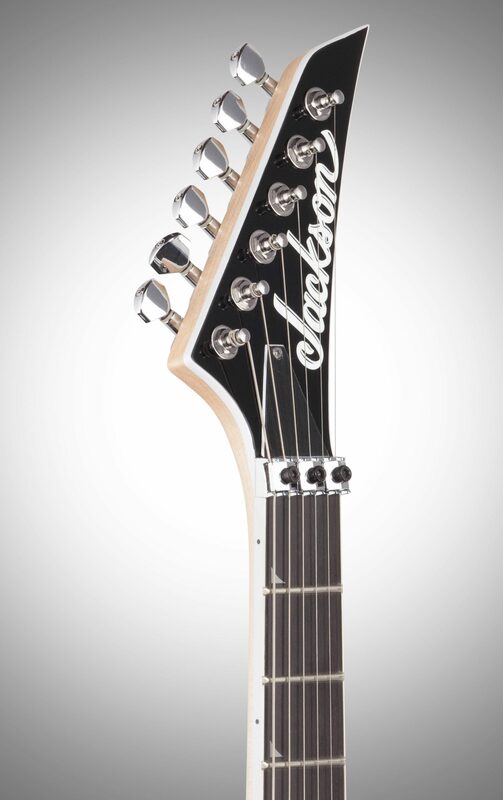 This Jackson Pro Soloist is Fit for the Big Leagues! The quilted maple top might be the most eye-catching feature of the Jackson Pro Soloist SL2Q, but it's got much more to offer to the discerning player. 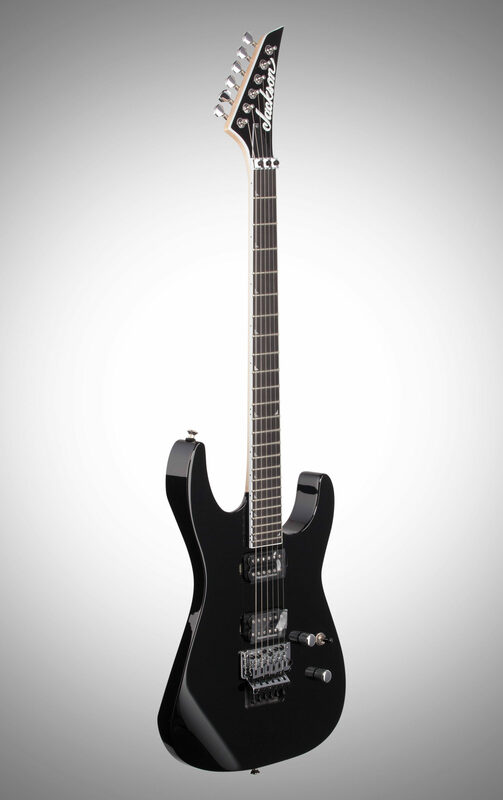 Sporting Seymour Duncan humbuckers, a Floyd Rose tremolo, and a lightning-fast neck, it's equipped for any stage. Constructed from an mahogany body with a quilted maple top, the Jackson Soloist Pro is carved in the "Super Strat" body shape, offering high fret access and comfort for players. The carve in the back of the body and lightweight design will help you keep playing away without feeling fatigued. The guitar features a recessed Floyd Rose FRT-02000 double-locking tremolo, ready to take on your deepest dive-bombs and pull-ups. 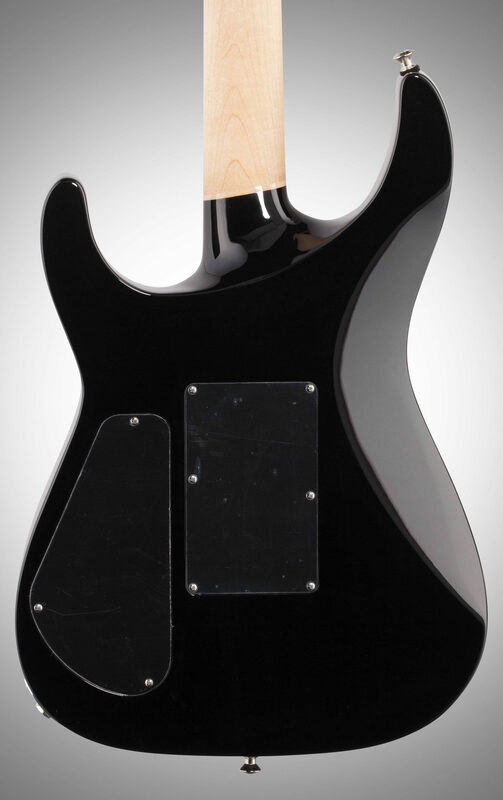 The volume knob is conveniently located for easy volume swells, as is the pickup selector switch. Equipped with a pair of Seymour Duncan humbuckers, the Pro Soloist SL2Q can deliver more types of tones than its heavy-metal aesthetics might lead on. A JB TB-4 in the neck position provides a warm voicing for creamy and thick lead tones, while the SH-1 '59 in the bridge draws its sound from legendary "Patent Applied For" humbuckers. Yes, these pickups can handle metal, but they do justice to blues, rock, and jazz as well. Jackson outfitted this Pro Soloist with a 3-piece maple neck set into the body. It's designed to play fast, with a 12" to 16" compound-radius ebony fretboard that gets flatter toward the high frets for more comfortable lead playing. 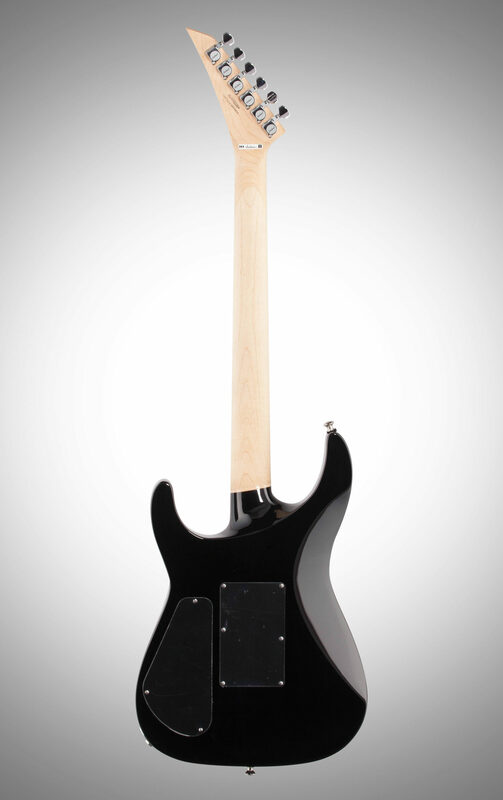 The back of the neck is oiled so your hands can easily slide up the neck just in time to rip out a solo. 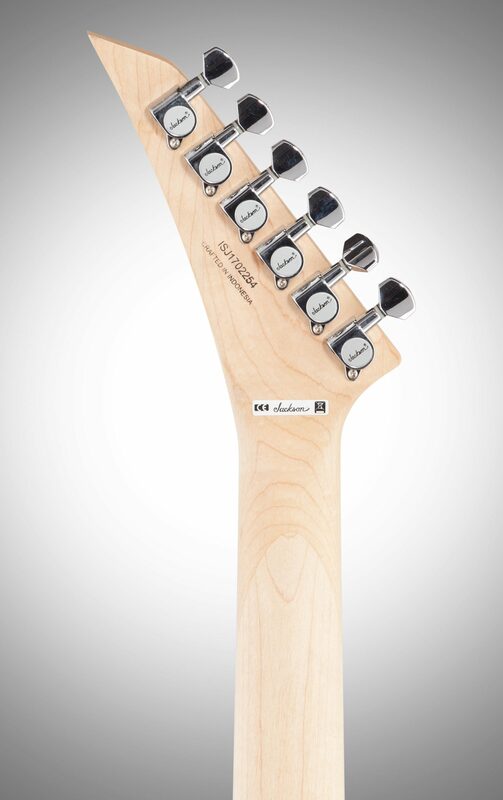 The neck is also strengthened with graphite reinforcement, so it stays true to shape in all climates. 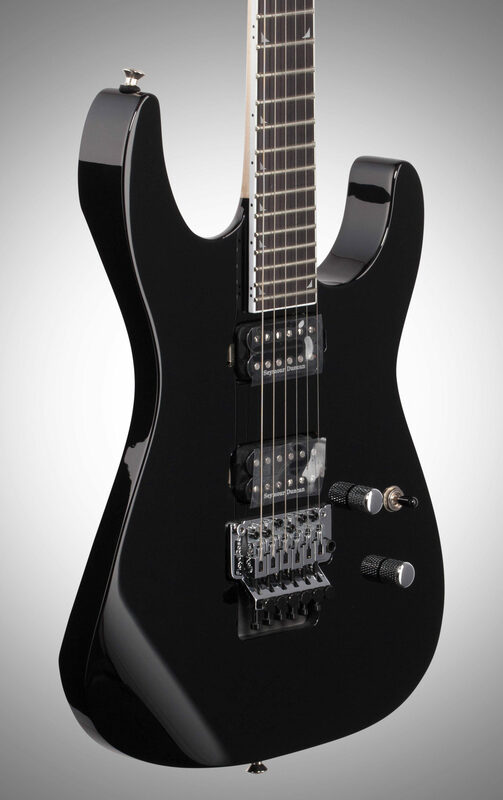 Shred like you get paid to do it -- or play any style on the Jackson Pro Soloist SL2Q. 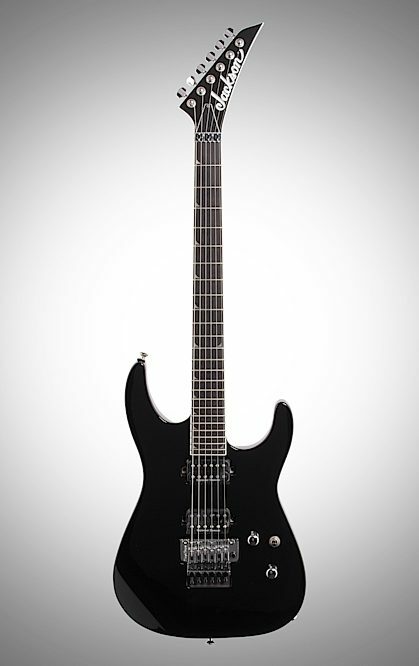 The Jackson SL2Q Pro Soloist electric guitar is sleek and fast. Featuring an mahogany body with a striking quilt maple top, three-piece through-body maple neck with graphite reinforcement and hand-rubbed oil finish, this Soloist uses a compound-radius ebony fingerboard with 24 jumbo frets and aluminoid piranha inlays for a great look and feel. 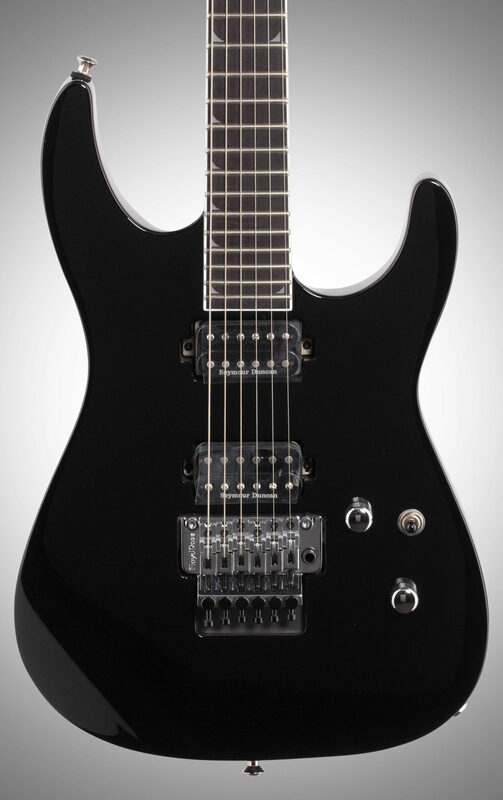 The direct-mount Seymour Duncan JB TB-4 and SH-1 '59 humbucking pickups use three-way toggle switching and are further enhanced for lead players by the Floyd Rose bridge. Sound: I love the pickup choice. The JB and 59' are a great combination. I like the punch and warmth the ebony fretboard gives it and the harmonics are crystal clear. Feature: Like I said, I love the ebony fretboard. It's fast and plays like butter. I really like the finish on the back of the neck, you don't have to worry about your hand slowing by sticking to the neck as with a gloss finish. Quilted maple top was darker than I expected which was actually a good thing. The Floyd is not the knock off, it's the real deal. Ease of Use: A little tuning and it was ready to shred. Quality: So far, everything looks great. No blemishes, and everything was put together properly. Value: In my opinion, its an excellent value. It has features that are normally installed on higher end instruments. There is remorse or second guessing this purchase. Manufacturer Support: not sure yet. Hope I never have to find out. The Wow Factor: I love the speed and versatility this guitar offers. Overall: I spent a lot of time researching guitars that are built for shredding. I got the opportunity to play a Dinky with the compound radius fretboard with the maple board. I was almost going to purchase that until I happened across the SL2. Right away I saw all the must haves that I was looking for. After looking at it for a day or two, I decided to bite the bullet and take a shot on it. I'm so glad I did. You cannot go wrong with this guitar. Overall: I've owned Jackson guitars in the past and they never disappoint. The neck is by far the best feature. You can play twice as fast on this guitar than on other similar models/manufacturers. There's just somethign about this neck that makes playing that much easier. Out of the box the intonation was perfect. I did not have to mess with anything. The string action was as low as you can possibly have it without any buzzing. This was a first for me having something ship to my home and have it play this good with no need for maintenance. The Seymour Duncan pick-ups are excellent for metal. I've always liked them better than EMG's. The only flaw in this guitar was a little rust spot on one of the tremelo adjusters. Not sure why that would be there. But, I didn't want to exchange it and have a replacement guitar not play as well as this one did right out of the box. Get this axe. You won't be disappointed.